Bonfire Night represents one of those times of the year that brings everyone together to marvel at something truly unforgettable. As the chill of autumn gives way to the cold of winter, the illumination of the skies above ensures a memorable evening with those you love. As one of the most traditional celebrations of the year, being able to enjoy the celebrations of November 5 is key. Of course, finding the very best Bonfire Night celebrations to enjoy is all-important to keeping those chills at bay, with displays none more popular than the Leeds Castle fireworks display. 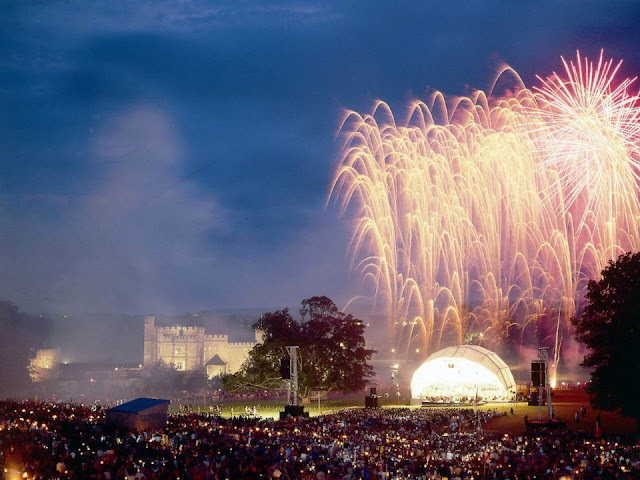 Each year, the Leeds Castle fireworks spectacular provides a magnificent display of colourful entertainment, with the event marking the famed Gunpowder Plot – and legacy of lead conspirator Guy Fawkes – celebrated with a magnificent display of colour and sound. The Leeds Castle Fireworks Spectacular of 2015 promises to deliver the biggest and best display across the South East. Featuring live music from Adam Chandler, a variety of stalls service hot food and refreshments, and music and scenes from famous cinematic works projected onto the side of the castle to complement the overhead display. Supported by Heart FM, the Leeds Castle fireworks display of 2015 will prove the perfect evening of entertainment for all ages. Ticket can be purchased online or via the Box Office on 01622 880008, with prices from £19 for adults, £12.50 for children aged four to 15. Children under four can attend for free. Find out more about the Leeds Castle Fireworks Spectacular at VisitMaidstone.com today.